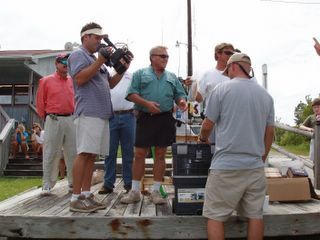 Roland giving out prizes to the Troops we took fishing. 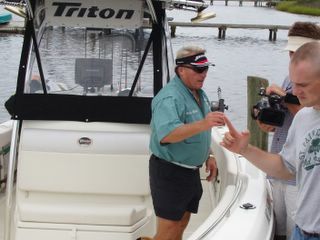 Just finished taping an offshore TV fishing show with Roland Martin. We landed a 26 lb King, a couple of Dolphin and even a monster 45 lb Cuda! 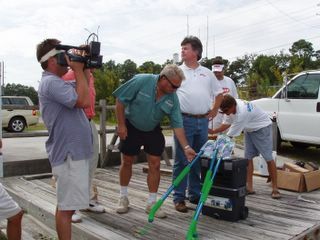 I do not know when it will air but I will keep you posted. We have been having good success with the Kings lately. 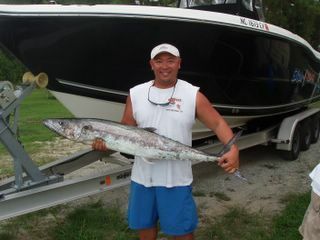 On the tournament trail we weighed a 27lber in the Sneads Ferry Tournament and we are currently in 15th place in the rankings. Here is a pic of a good fish caught while prefishing. 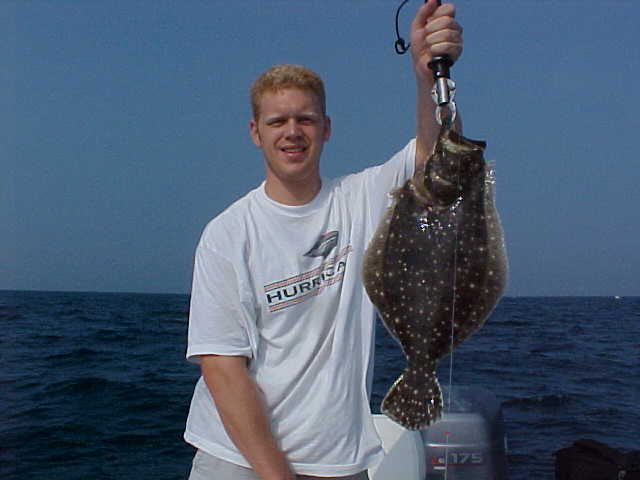 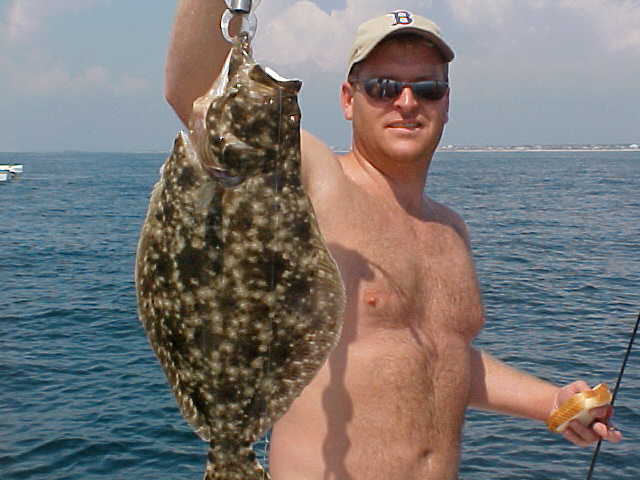 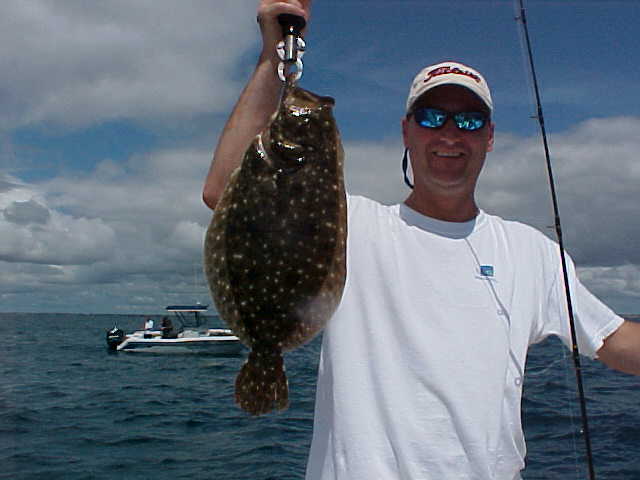 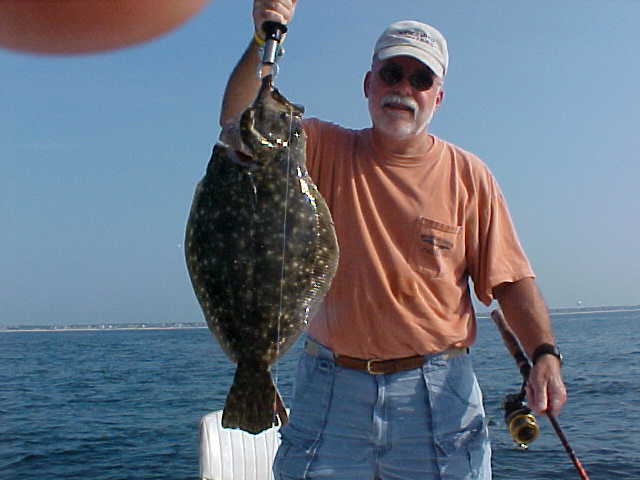 8/28/05 James Morton with a 4lb flounder. 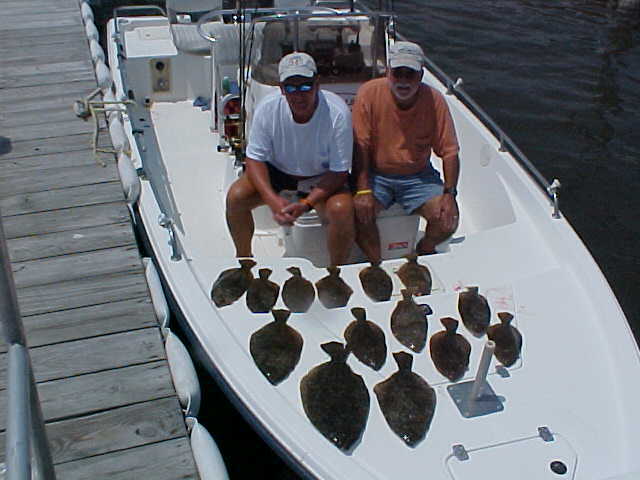 We fished a full day today for 18 flounders with 9 keepers. 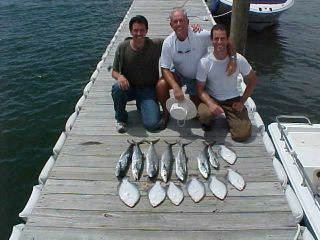 4 fish over 2lbs today. 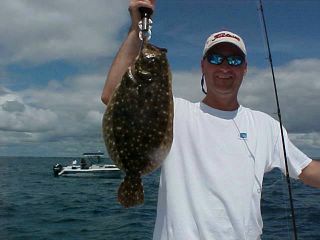 Bite has been very slow this weekend with the NE winds and swell. 8/20/05 Jason caldwell and crew with a deckload of purrty flatties. Kept 13 and threw back about that many today. 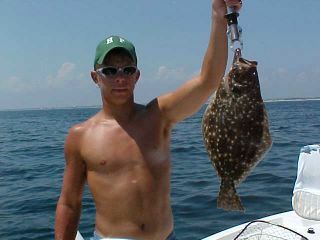 Largest fish at 4.25lbs. 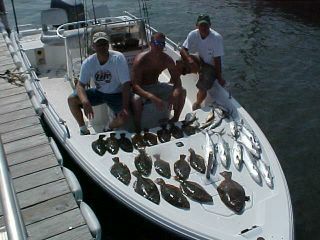 Thanks guys... fun fish'n with ya. 8/20 Caldwell Crew with a nice shot of a 4.25lb flounder. 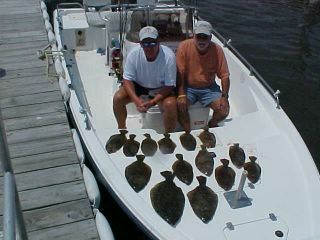 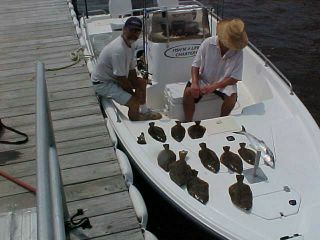 Tony Batista crew with 10 keeper flounder up to 3lbs and a 4.5lb spanish. 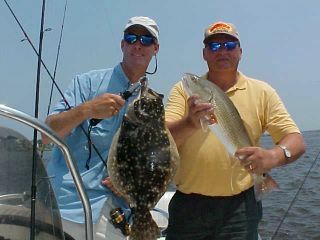 We found a good bite toward the end of the trip with flounders coming in at a steady pace. 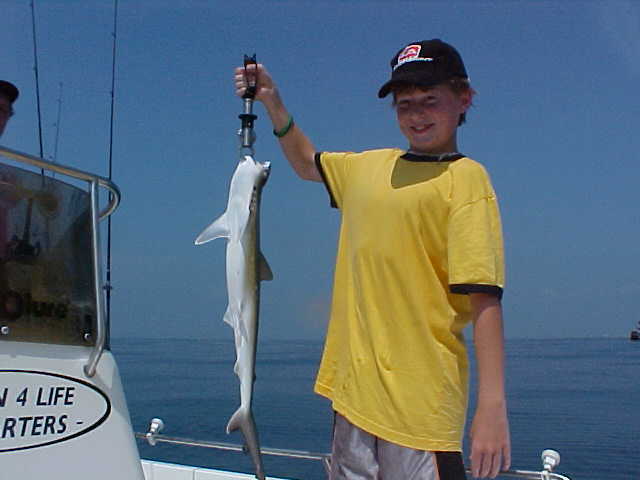 8/14/05 Parker's smiling face with a little dusky that gave him a good pull today. 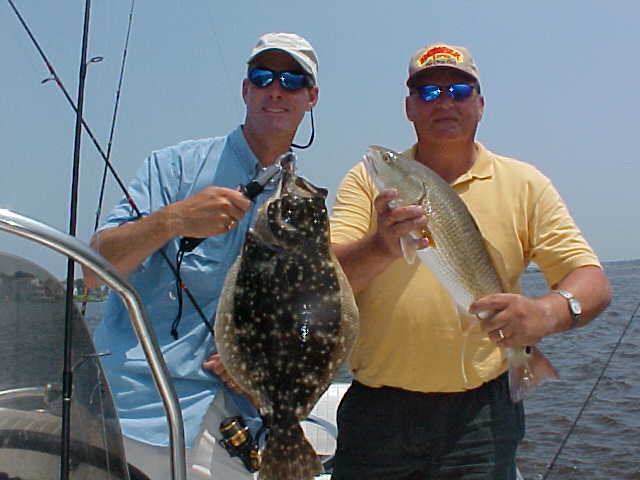 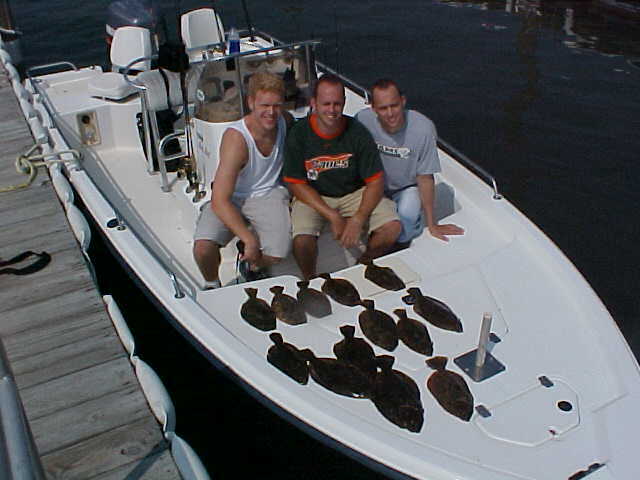 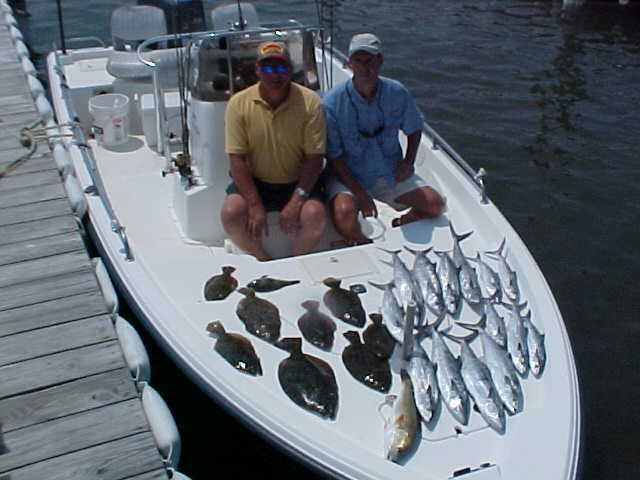 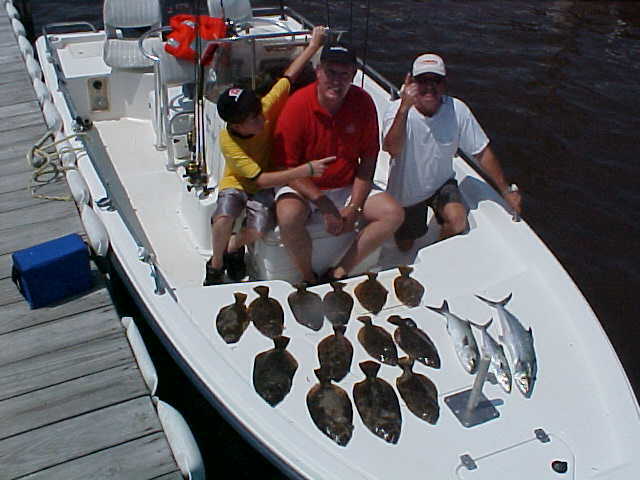 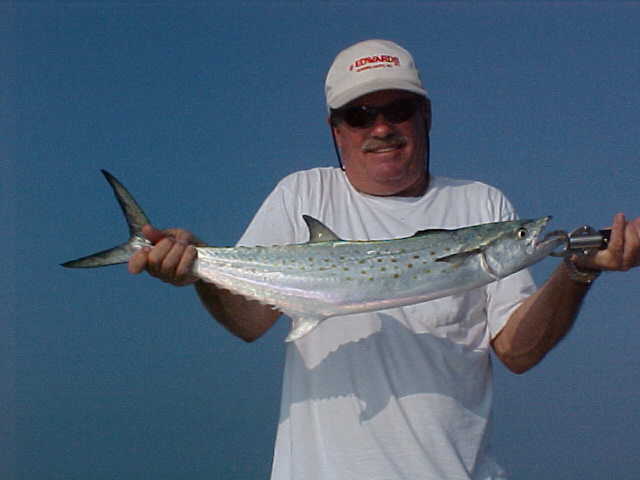 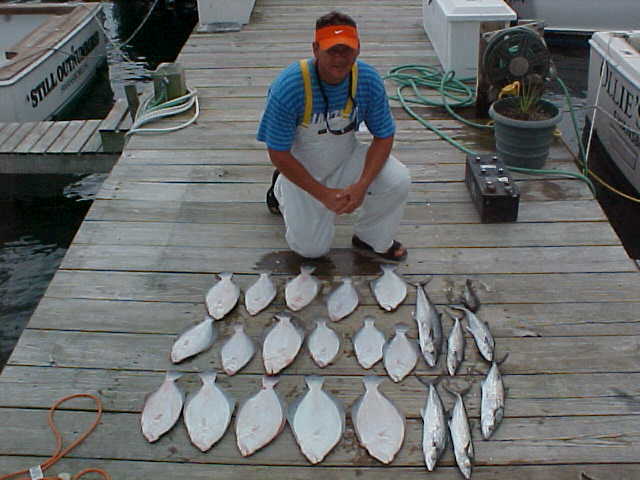 8/13/05 Dalrymple group with a 4.45lb flounder on a big mullet minnow.... shortly after we lost an approx. 8lb flounder that managed to get out of the dip net.... YIKES! 8/10/05 Brian Benoit group here from Maryland with a shot of triple hookup 24 to 26in. Kings caught on light spinning tackle. Sweeet! 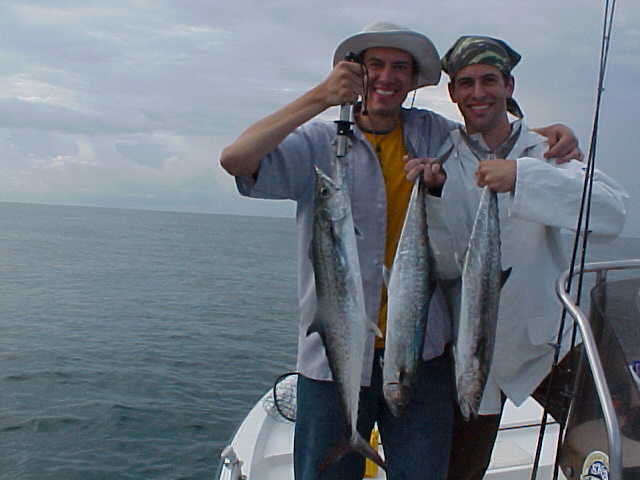 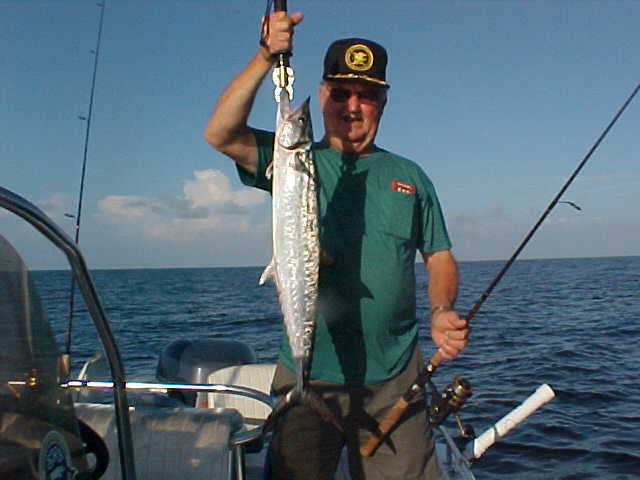 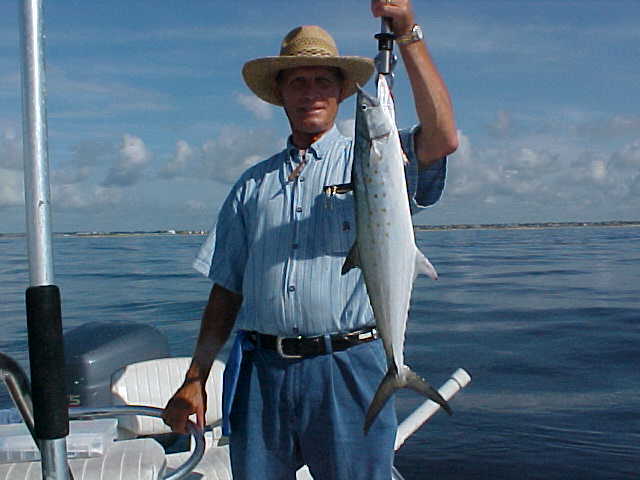 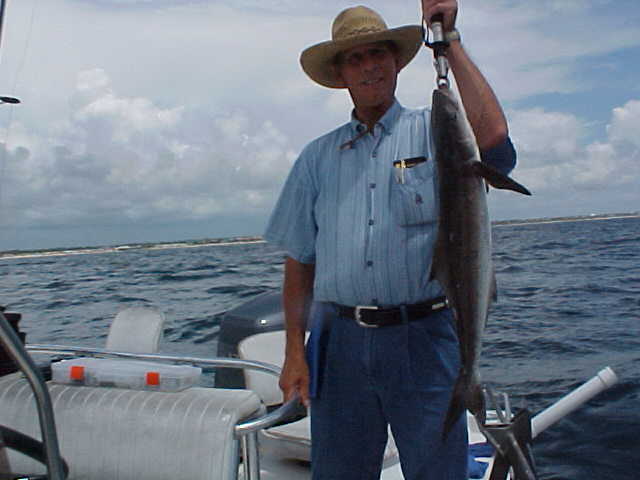 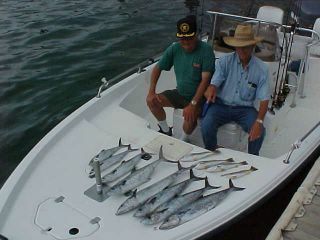 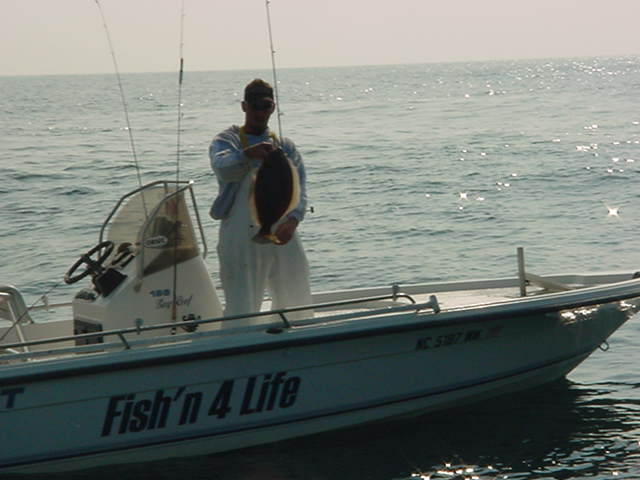 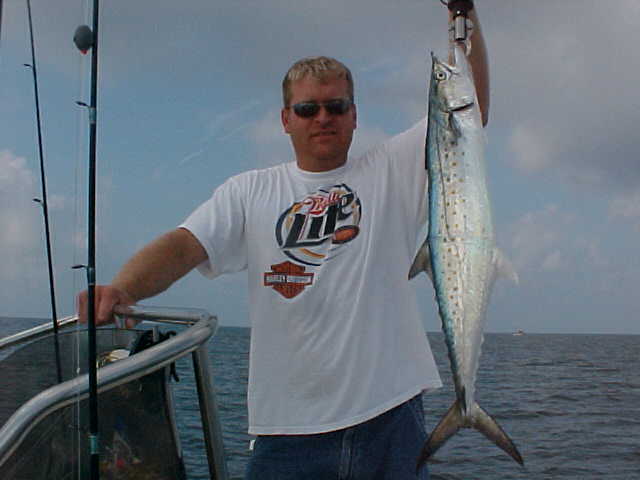 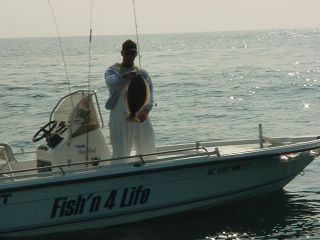 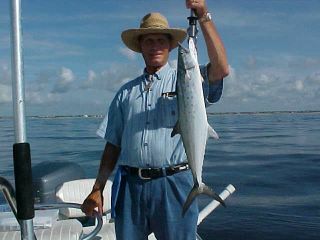 FISH'N4LIFE CHARTERS- CAPT. JEFF CRONK.